How many lives could be saved or significantly improved if precision medicine began at birth? Tute Genomics is aspiring to answer this question. Yesterday, Tute announced that they are working with Newborn Screening Ontario (NSO), part of the Children’s Hospital of Eastern Ontario (CHEO), to establish new next-generation sequencing (NGS) testing capabilities in Ontario, Canada. Tute, a leading genome annotation and interpretation platform, provides clinical sequencing informatics and interpretation to deliver meaningful reports of a patient’s full genomic profile to researchers and clinicians. Tute is providing its clinical customers, like Newborn Screening Ontario, with an end-to-end solution – taking raw sequence data through genome interpretation in a single step – DNAnexus is proud to be a part of that solution. NSO operates one of the largest and most modern newborn screening programs in the world. In the past decade, NSO has tested more than one million newborns for serious but treatable rare diseases, making it the highest volume molecular lab in Canada. Working in conjunction with Tute, organizations like NSO can easily perform best practice data analysis in a single environment, avoiding the hassle of transferring large datasets between analysis and interpretation platforms, or deploying costly local solutions. 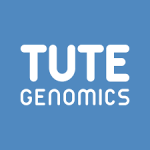 Tute is passionate about making genomics more accessible to healthcare providers and scientific researchers in order to advance precision medicine. Through integration with the DNAnexus Platform, Tute offers its customers upstream primary and secondary analyses and downstream interpretations in a seamless fashion. The NSO’s new genetic testing project is a perfect end-to-end example, connecting sequencing instruments, LIMS (UNIConnect), downstream clinical reporting software and report delivery. Ultimately, these Tute employed services will help make medical intervention and care decisions faster and more effective for newborns suffering from genetic illness. Email us directly to learn how DNAnexus can help data interpretation tool providers operate in a secure, compliant, and scalable platform on which they can deploy and expand their product portfolios.